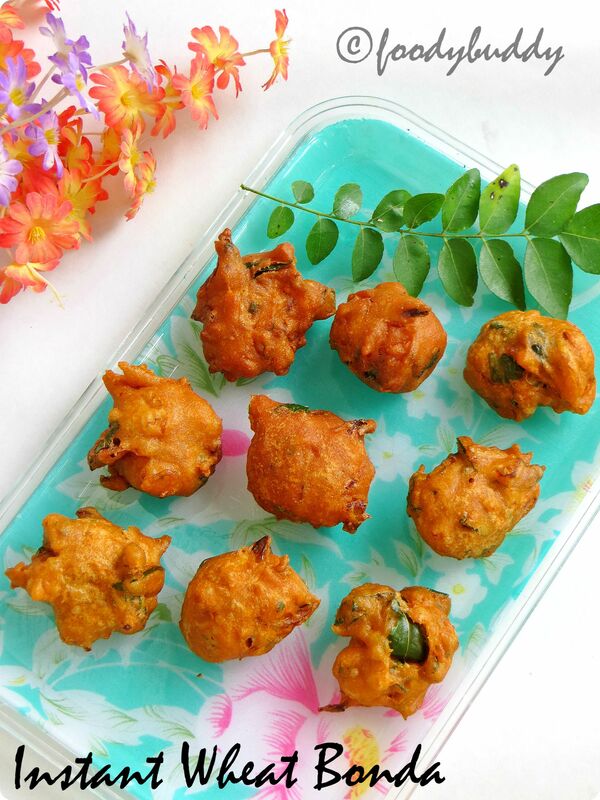 Wheat bonda / Godhumai bonda is an easy to make deep fried evening snack that can be made in 5 mins. To make instant what bonda, you need wheat flour, leftover dosa batter, onion, red chilly powder, baking soda and salt. You can make this Instant Wheat bonda for unexpected guests to home or give to kids as after school snacks. But I had it as side dish for rice. Yes..if you don’t have any vegetables to make side dish for rice, make this bonda as side dish. It tastes good with hot sambar rice. 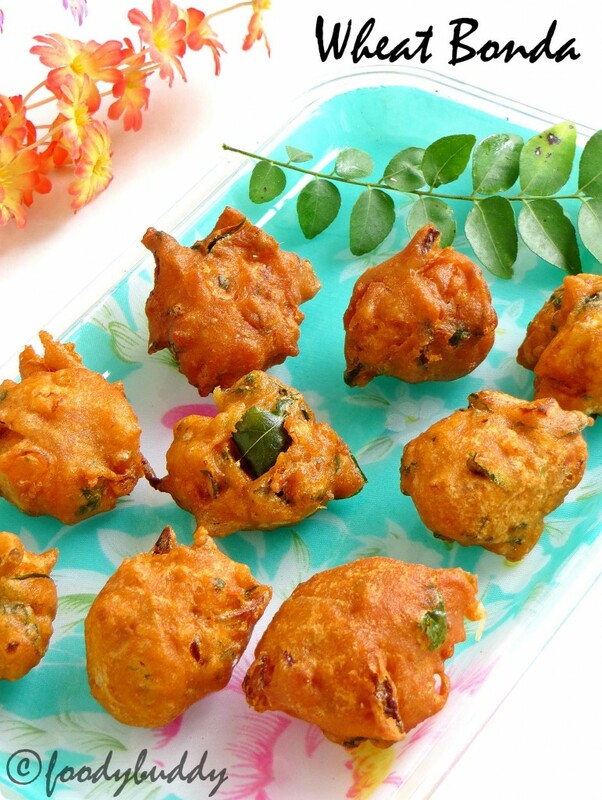 Serve this instant wheat bonda with chutney of your choice. Try this 5 mins instant wheat bonda recipe for evening snack and let me know how it turned out. In a bowl, add all the ingredients except oil and water. If your batter is thick, you can add little water to the flour. Mix everything to bonda batter consistency, but not watery. Heat a pan with oil, when it is smoking hot, take the batter in your hand and drop little balls into the hot oil, cook both sides of bonda until it changes to golden colour, remove them from the hot oil. Hot, crispy, yummy wheat bonda is ready to serve with chutney of your choice like coconut chutney or tomato chutney. You can use green chillies in addition to red chilly powder. Add any vegetables of your choice to the batter. If you want, you can add some grated ginger to it.